Mistakes made early in detecting the development of a tumor can have devastating long-term health effects that are difficult or even impossible to reverse. Failure to diagnose cancer at an early stage can have devastating effects. For this reason, properly diagnosing a malignant tumor before it grows and spreads is critical. An oncologist or physician has a duty to each patient to exercise all of his or her skills and training to properly diagnose life-threatening conditions, such as an early-stage tumor. If the physician fails to do so, the cancer victim has the right to claim compensation with the help of a malpractice lawyer for any financial losses, physical pain, mental suffering, and other losses. At The Law Offices of Jeffery A. Hanna, our mission is to help victims of negligence get fair compensation for their losses and suffering. Each medical malpractice lawyer on our team has years of experience in this field, and we work diligently to get the best possible result for every client. 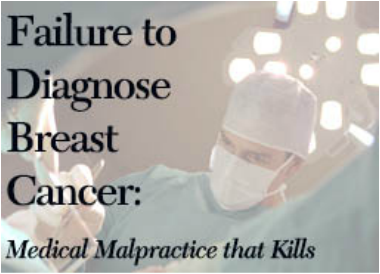 For a free consultation with a dedicated malpractice lawyer about a failure to diagnose cancer, turn to The Law Offices of Jeffery A. Hanna. Our attorneys provide results-oriented representation that is designed to obtain full and fair compensation for all losses. Contact The Law Offices of Jeffery A. Hanna for a free consultation with a medical malpractice lawyer who is dedicated to helping you get the compensation you deserve for the pain and suffering caused by your doctor's failure to diagnose cancer. When you turn to a malpractice lawyer at our firm to represent you, we will make a full investigation of the circumstances of the doctor's failure to diagnose cancer, including medical tests, physician consultations, and other actions taken or not taken by your medical providers. We will work with specialists in appropriate medical disciplines in these investigations who can provide insights into key issues, and if needed, compelling testimony at trial. Our firm will seek full compensation for all losses. At The Law Offices of Jeffery A. Hanna, your malpractice lawyer will vigorously advocate for you in settlement negotiations or at trial, seeking the best possible result. Contact The Law Offices of Jeffery A. Hanna for a free consultation with a highly qualified malpractice lawyer.